Hyrum Laney lives in Pacific Northwest with his wife and three children. He writes when he’s not farming. 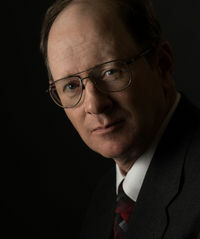 With a keen interest in politics, he has blogged and written commentary on agricultural issues facing American farmers. As a fiscal conservative, he is concerned about the national debt and the dangers it poses to our national security and ultimately our liberties. To ask Hyrum Laney questions, please sign up. provide valuable feedback on the plot before it is published, and vote on the title and the cover design! The post You are invited to join our Advance Reader Team appeared first on Hyrum Laney. [image] [image] Hyrum Laney ...more "